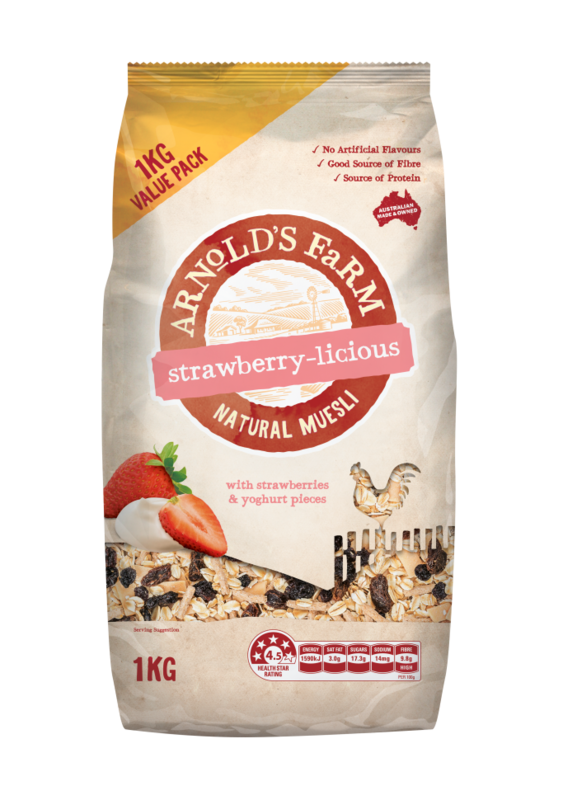 Our Strawberry-licious Natural Muesli contains wholesome, natural Australian oats combined with freeze dried strawberries and yoghurt pieces. Arnold’s Farm Strawberry-licious Natural Muesli contains wholesome, natural Australian oats combined with freeze dried strawberries and yoghurt pieces. 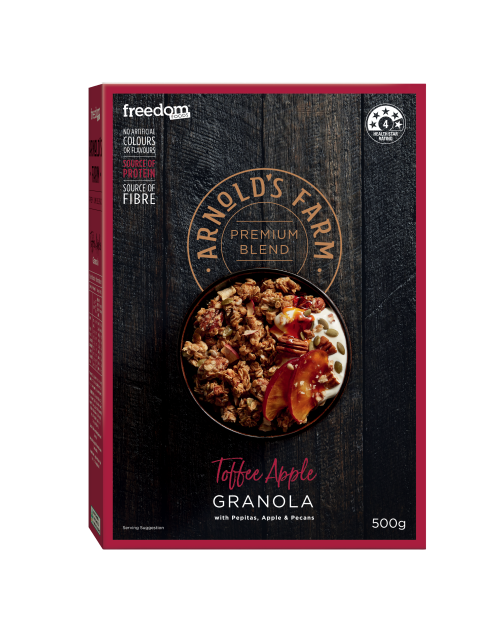 Australian Whole Grain Rolled Oats (70%), Fruit (18%) (Currants (Currants, Sunflower Oil), Sultanas (Sultanas, Vegetable Oil), Raisins, Freeze Dried Strawberries (0.5%)), Yoghurt Pieces (7%) (Sugar, Vegetable Fat, Milk Solids [Yoghurt Powder], Emulsifiers [Soy Lecithin, 492, 476], Acidity Regulator [Citric Acid]), Oat Bran Sticks (Wheat), Natural Strawberry Flavour. Contains: Gluten-containing cereals, Milk and Soy. May contain: Lupin, Peanuts, Sesame Seeds and Tree Nuts. 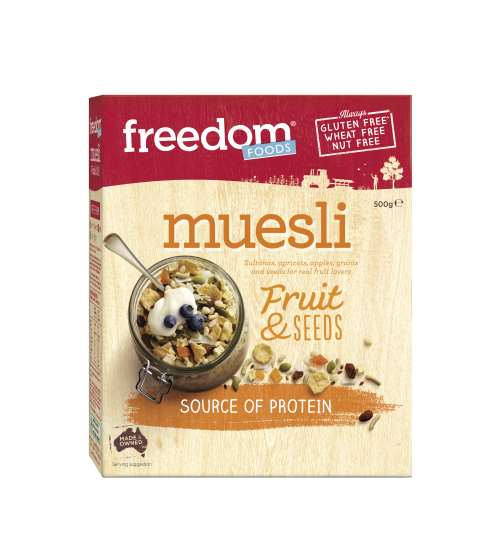 Everything you love about muesli – from the seeds to the fruit to the crunch – without any gluten or nuts.